People living with multiple sclerosis have the dice loaded against them when it comes to their decision-making ability as their neurological disease progresses, according to a new study from the University of Alberta's Faculty of Medicine & Dentistry. "About half of people with MS will experience cognitive defects or limitations in that capacity. Decision-making becomes important to look at in these populations," says lead author Ashley Radomski, who completed the research as part of her master's thesis. In the study, published in BMC Neurology, people with MS took part in an assessment that involves throwing dice, which has been shown in other studies to be a standard determinant of explicit risk. 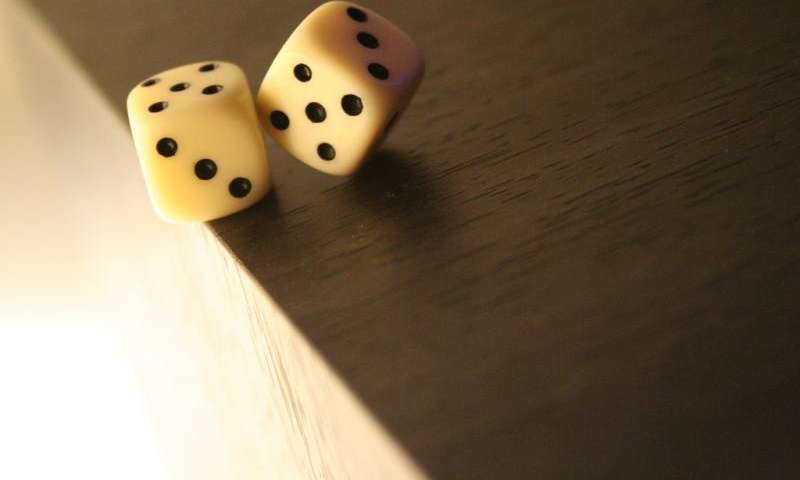 The test, called the game of dice task, or GDT, challenges study participants to evaluate risks associated with throwing dice by choosing a combination of one, two, three or four digits as a predicted outcome of each roll. More numbers in a chosen combination means a less risky choice, but also means lower rewards for a correct guess—which, Radomski explains, can lure participants to make less advantageous choices that reveal their everyday decision-making capacity. Esther Fujiwara, Radomski's supervisor and an associate professor in the Department of Psychiatry, helped develop the test as part of her own PhD studies. "People with MS are faced with many complex decisions on a regular basis—for example, choices about which medications to take or not take, what short- or long-term effects are desirable or undesirable, which side-effects seem acceptable or unacceptable, and so on," Fujiwara notes. "What we found in our study is that those patients who have increased disease severity, as indicated by a particular subtype of MS or by greater structural changes in the brain, did have greater decision-making disabilities than patients who were considered less severe," Radomski says. People with MS or their family members may find it helpful to keep a journal to help identify decision-making patterns over time. Radomski emphasizes that the journal should be discussed with the patient's primary physician or their neurologist for full assessment. Radomski also notes that the rules of GDT were explained to participants at the beginning of the task, and remained consistent and on display throughout the rounds. GDT was administered as part of a two-hour standardized neuropsychological test battery to evaluate the participants' working and verbal memory, visual-spatial abilities and motor function, among other traits.